Ruth Graham from Aye Do wanted guidance on how to get her wedding stationery business online and how to make it profitable. A strong strategy was required on this short term project to generate results. 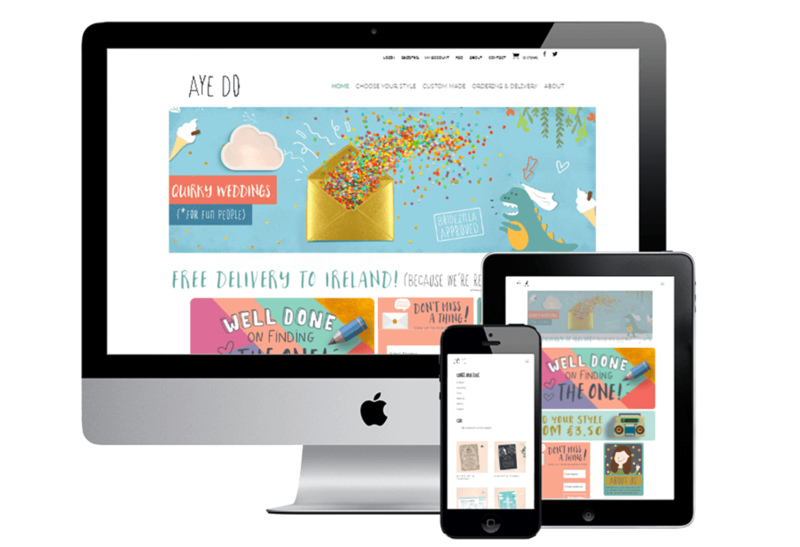 Finn Media worked on the UX design of the Aye Do website to ensure the services that Aye Do offer were communicated effectively. We then developed focused strategies which included SEO activities in order for the website to get found by those searching for the key terms related to the industry. This was very effective and was proven to make the business profitable from the start. I approached Finn Media looking for some advice on getting my business selling online. Having not spoken to a web developer at this point, I really just wanted some early guidance and was delighted with the honest and impartial advice that I received! By talking to Denis so early in the process he helped me to pinpoint exactly what I was after. He then put strategies in place to make my project profitable from the very start. I found him and his team extremely knowledgeable and very easy to work with, and would highly recommend them, especially to anyone who is thinking of selling a product online.